for schoolchildren 11-17 years old. 4 years ago we asked ourselves: "Where are the school-age children able to get skills in the current IT areas?". And it had to be something interesting, friendly and useful. So, the answer for this question was the creation of the Digital Banana team in 2014. 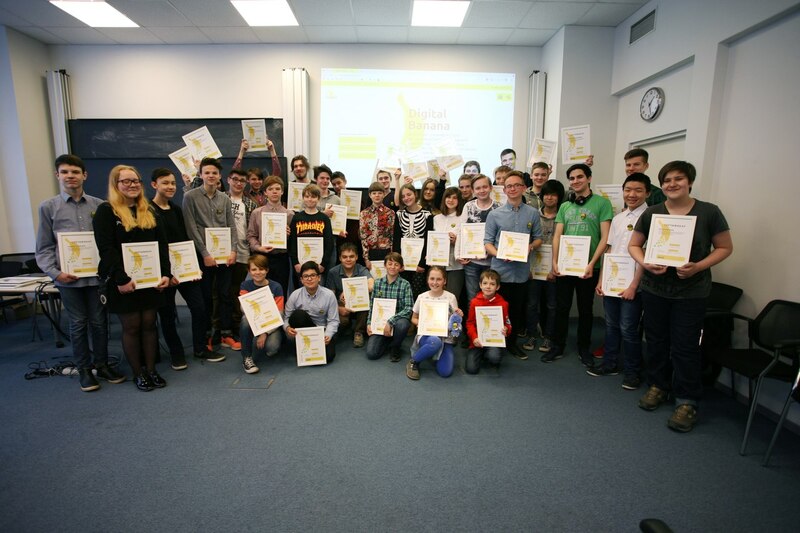 Digital Banana are a courses in IT, game development and preparation for olympiads for schoolchildren from 12 to 17 years old. There is a choice of 12 programs: from classical programming to digital creativity. The duration of the programs is 1 or 2 academic years, depending on the course. Classes are held in equipped rooms - you do not need to give the computer to your child with you. Groups are up to 8 people. 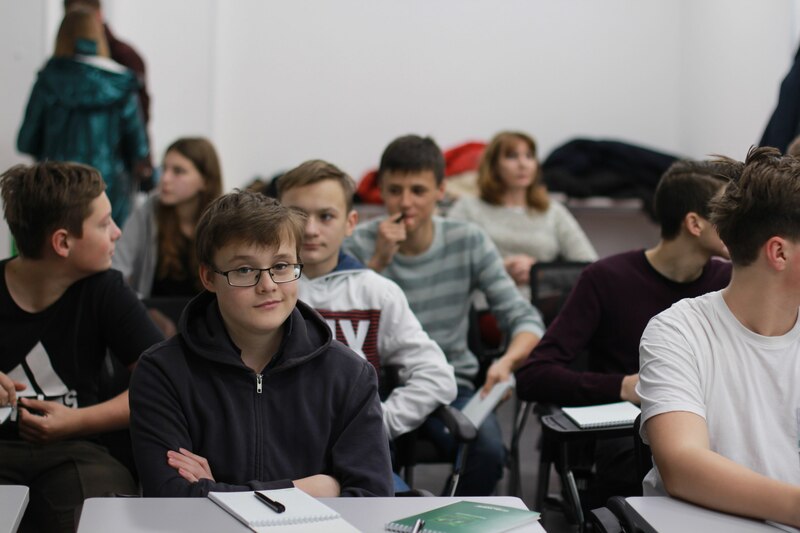 As a result of the lessons, the graduate of Digital Banana receives a portfolio and skills that will allow him to consciously approach the choice of the university, to get the first job in an IT company at age of 18, try to be a freelancer, or start their own technical projects. Digital jungle is an educational and entertaining IT event. It was held in 2016/2017 in St. Petersburg and in 2017 in Moscow. Representatives of more than 40 IT companies: Avito, Microsoft, Intel, ABBYY, Eset, Kaspersky, Playrix, CROC, ASUS and others gathered at one site to tell schoolchildren, students and their parents how to choose a future profession, where to get higher and additional education, what are the industry's prospects in the next 5-10 years. The event, in total, was attended by more than 2500 people. The Digital Literacy Lecture Hall is a discussion and information club for schoolchildren and their parents, where we touch on different topics dedicated to modern specialties and education. Open speeches of various specialists, where they could share their knowledge, experience, interesting facts and discoveries in the field of technology. The goal is to popularize technical sciences and digital creativity among young people. If you have not yet tried to create games, but really want to - catch the BamBamGames video course, and in just a couple of days, learn how to create a cool platform game with several levels and dangers! Under the link below 10 videos in 10-20 minutes, which consistently tells how to create the process of creating your game project and fill the game world in small details so that players will remember them.